The Zayandehrood river suddenly disappeared in 2013. Nobody knows why exactly; drought, mismanagement, over consumption. Some say the river was diverted towards another, holier, city. 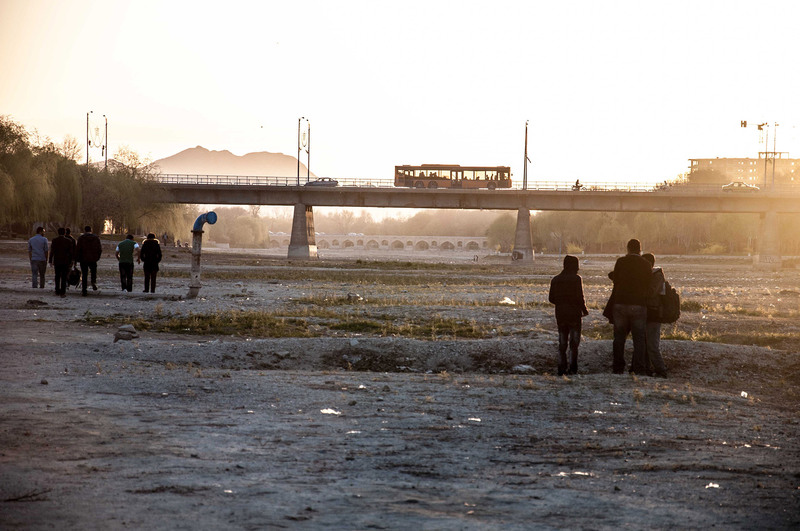 The only sure thing is that the people of Esfahan miss their river every day. March 2014.